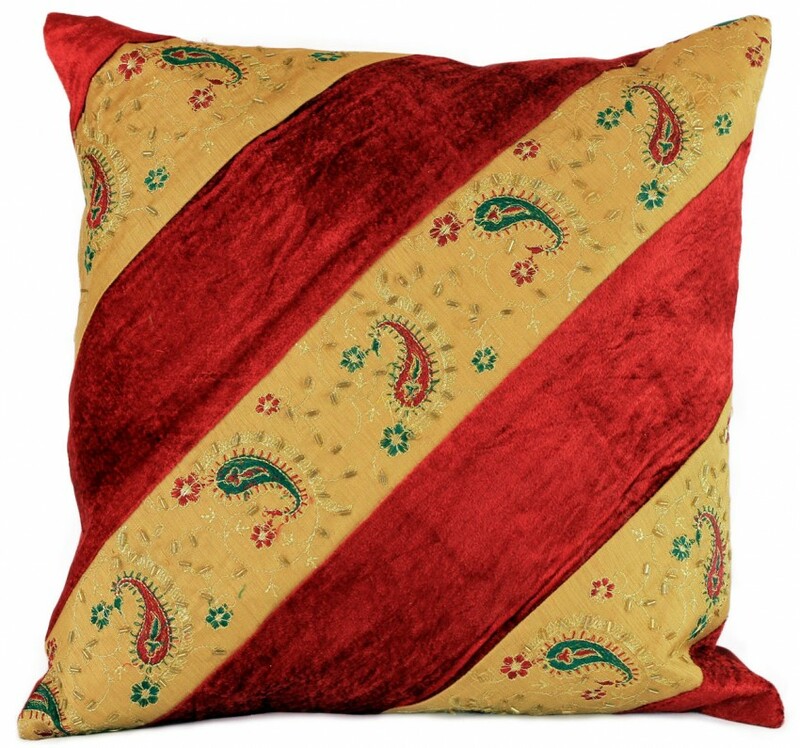 Unique and stylish, this throw pillow cover set will give your home an instantly updated look and feel with minimal effort. 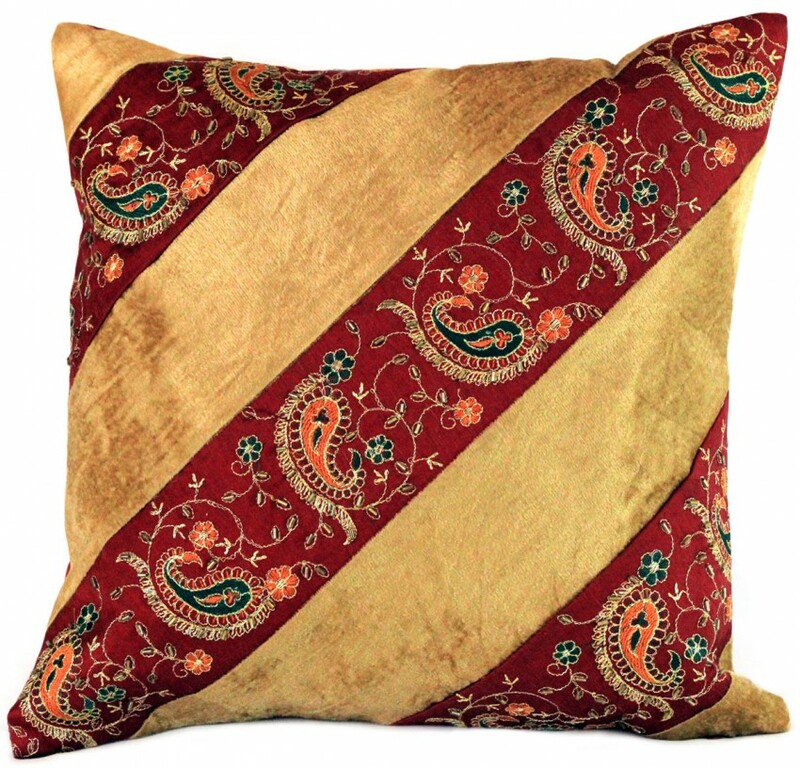 This ornamental velvet hand embroidered pillow cover set features a distinctive design that enhances the beauty of any room decoration. 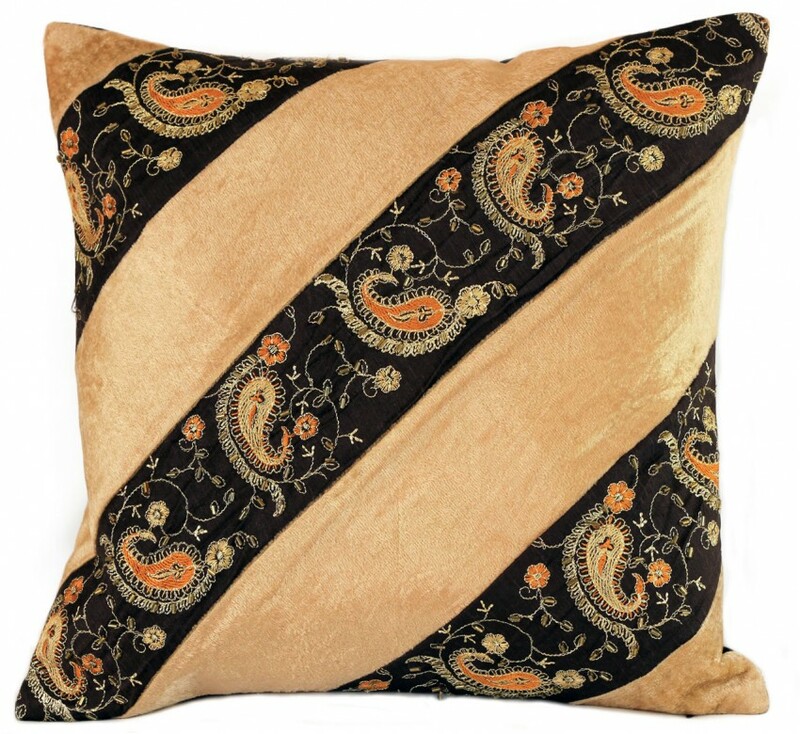 Soft crushed velvet is paired with silken, hand embroidered fabric that is highlighted by a sophisticated yet whimsical paisley pattern. Alternating between velvet and embroidered fabric in bold, diagonal strips, these accent pillow covers are purely matchless in style and panache. 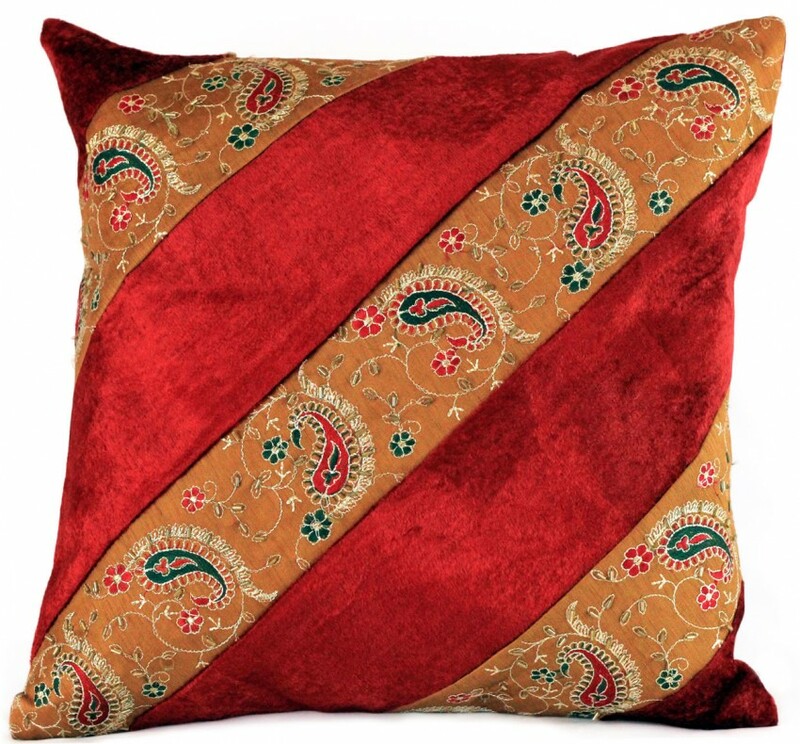 This set is a perfect ornamental item that embellishes your favorite room in your home; including your living area, sitting area, and den, bedroom or guest room. The hidden zipper in the back makes them easy to remove or swap out colors with the seasons or at your whim. 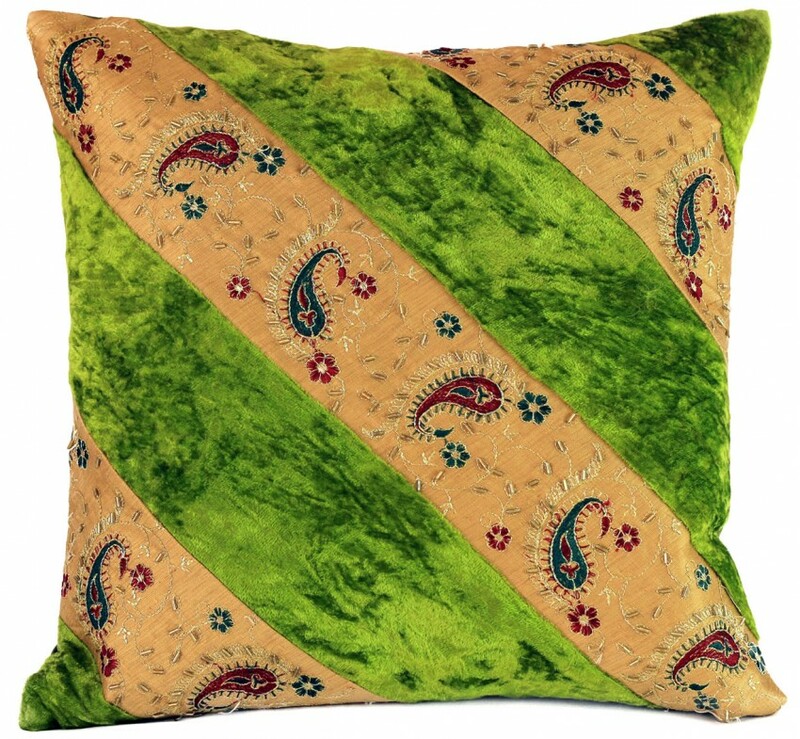 You will love how the Velvet Hand Embroidered Pillow Cover gives your home an updated look and feel instantaneously.